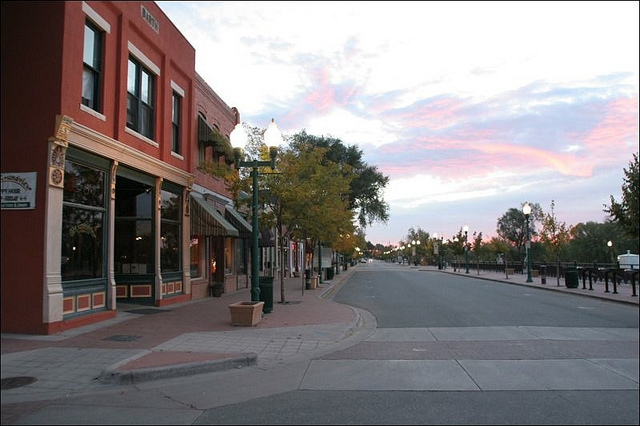 As the center of Arvada, Olde Town serves as the link to the city's heritage, culture, past, and future. Olde Town contains a wide range of building types and uses ranging from single-family residences to retail, office, and mixed-use buildings. Historic resources and individual landmarks are intended to be preserved, restored, and new development should be designed to be sensitive to the historic district and built to be integrated into the urban fabric with pedestrian oriented design. 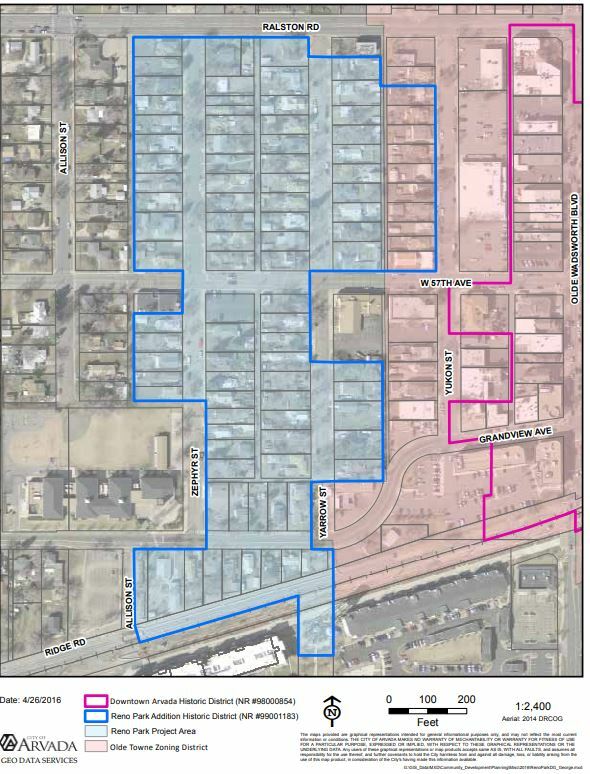 The Reno Park Addition Historic District encompasses a specified area that is generally defined as the alley between Yukon and Yarrow St. to the east, the alley between Allison and Zephyre St. to the west, Ralston Road. to the north, and Ridge Rd. to the south. Buildings within Reno Park are single-family homes with some being used as offices and other light-commercial uses. Most of the buildings in Reno Park were built in the 1800s and resemble key features from this era. All projects located within either Olde Town or Reno Park must obtain a Certificate of Compliance with Design Guidelines prior to the approval of any permit. The Certificate demonstrates that a particular project conforms to the guidelines that are applicable to the project. If one or more guideline cannot be met, a waiver will have to be approved. To apply for a Certificate of Compliance, visit Arvada Permits and apply for a new project. Information on the application process can be found here. The Olde Town Design Guidelines are intended to preserve the historical integrity of the heart of Arvada while also encouraging new development to be in character with the area. 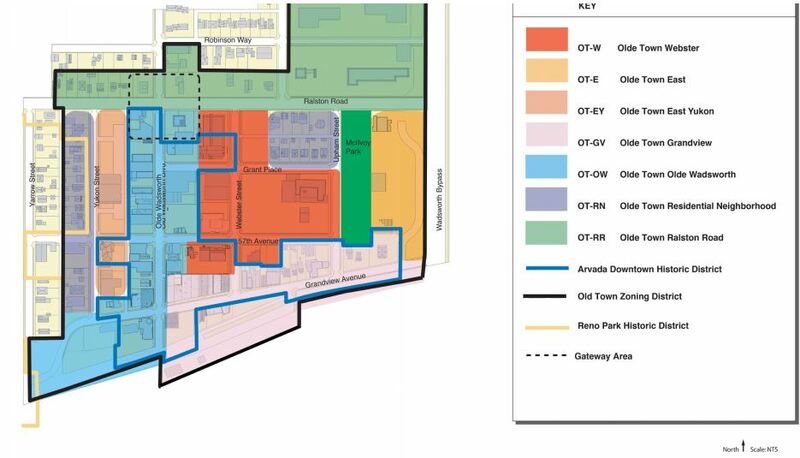 Olde Town is broken down into seven subdistrict zoning areas that better define the character of each area. The Reno Park Design Guidelines are intended to preserve the traditional single-family residential character of the historic district.